Trouble Getting Approved in Connecticut? Summary of Connecticut Usury Law(s) / Quote: "Legal: 8% Contract: 12% / Judgment: 10% / Corporate: Any rate over $10,000"
Legal Maximum Interest Rates: Quote: "12% (§37-4)"
Usury Penalties: Quote: "Loan is not enforceable (§36a-573)"
Judgment Interest Rates: Quote: "Absent agreement to contrary, 8% (§37-1)"
Legal Exceptions: Quote: "Loans before September 12, 1911; bank; savings and loan; credit union; certain mortgages; loan for motor vehicle; boat; loan for higher education (§37-9); pawnbroker and loan broker (§21-44)"
Peter from Bridgeport needs a lot of dental work. He has been to his family dentist who is referring him to a specialist to assess him and make a recommendation regarding what work he should have completed. His family dentist feels that he needs a root canal, a tooth extraction and then a bridge to fill the gap where the tooth is being removed. He already knows that this will be expensive. He has some savings and his medical benefit package will cover some of this treatment, but he knows he will need to take out a loan to pay for it. While he is not yet sure about the total bill, his family dentist indicated it could cost somewhere around $4000, so he is applying for a loan now to make sure he has the financing in place to cover the expense. He does not want a surprise when he has had the work completed and no way to pay for the treatment. He does not like using credit cards because the cost to carry an unpaid balance is so high. He does have several credit cards and could use one of them to pay the bill initially, but then he would still need the loan once the credit card statement becomes due. He wants to get this done quickly since he has an appointment within the next week with the specialist. Peter has an average credit score. He has good benefits, but like most benefit packages they pay for standard dental treatment such as cleaning, x-rays and general dental treatment. They pay a portion of specialist expenses; however, it leaves the patient with a large dental bill that they are responsible to pay for. He needs to have a solution before he visits the specialist. His debt load is reasonable. He has a car loan, a mortgage and several credit cards currently with a zero balance on them. His credit utilization numbers are in the correct range and his monthly debt load is less than 35% although this loan will put him very close to 35% which is the limit for most lenders. This loan is only $120 per month, however with his income level and other payments he is still close to the limit that most lenders look for. Peter is under a lot of stress. He is in a lot pf pain and even with pain killers he is having trouble concentrating at work and he cannot get into see the specialist quickly enough. Waiting a week is really difficult but he has no choice at this point. If he could see another specialist more quickly he would but his family dentist has made the referral and told him that this specialist does really good work and will treat him well. Peter needs this loan approved asap otherwise he may have to delay treatment which is not something he wants to do. 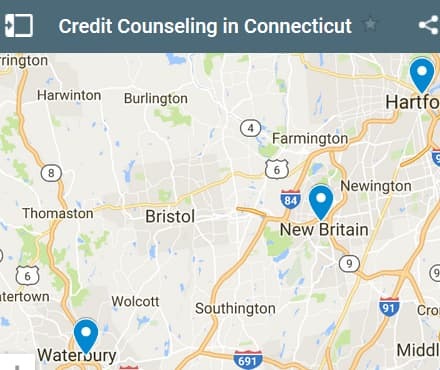 If you live in the State of Connecticut and you're struggling with a bad credit rating we hope our website helps you in some way. 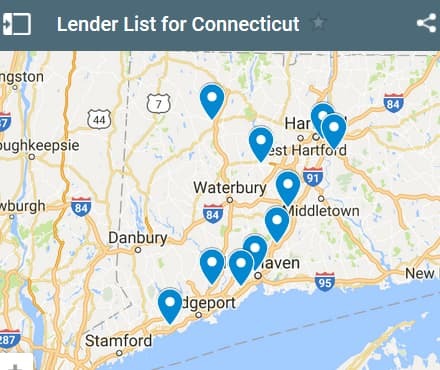 Listed below are the last 5 debt service loans approved in the State of Connecticut. Source: WFL Lender Pool. Updated Weekly. Principals rounded to the nearest $1000. Relative interest rates listed below in order left to right. 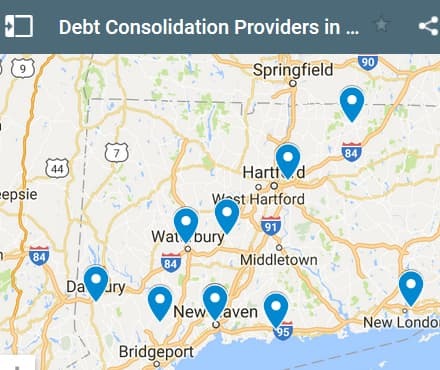 If you're a resident of Connecticut and you've been dealing with high interest debt that's exploded out of control, you may need to consolidate your debt or employ a debt relief company. But you should also look into the possibly of negotiatiating with your creditors directly. They will listent you and they will negotiate, but keep in mind this will hurt your credit rating further. Anytime you pay back creditors in a partial matter you will have to deal with that reality. However, you must remember that having a bad credit rating and really high personal debt isn't a "forever situation" - it's only temporary and you can take action yourself to get yourself on the right path towards financial freedom. You can get a second chance. Mike and his wife from Stanford live outside of town and of course this means they have no services from the town for things like water and sewage. They have their own well and septic system that they have to maintain on a regular basis. The current septic system has been in service for many years and although it is regularly cleaned out, the existing system has reached the end of its natural life. They need to replace the septic system and the initial estimates suggest the cost will be somewhere around $15k for everything including a new system and the associated landscaping that will need to be completed after the new septic system is installed. They have a large property and almost all of it is landscaped with lush lawns and they want to bring everything back to its original state. They have investments they could sell to pay for this expense. They are invested in stocks and bonds which are paying excellent dividends and interest. They would prefer to borrow the money provided they can obtain a loan with a low enough interest rate. While they are at it they will consolidate a small amount of credit card debt at the same time. They would like to borrow a total of $15k with a five year term and as low an interest rate they can obtain. They are prepared to use their property as collateral for the loan. Mikes home has sufficient equity available for him to use it as collateral for the loan and it should allow him to be approved for a loan with quite competitive interest rates. He needs to get this done fairly soon, since the contractor is scheduled to come next week and begin work. They are using portable toilets and limiting their showers etc. while they wait for the septic system to be replaced. It is very inconvenient for the family. They are even using the local gym to take showers as well as neighbors when they are available. They have a pretty decent credit rating and should not have a problem with being approved for this loan. Mike and his wife both work and make enough income to support this loan as well as their mortgage payments and utilities. Mike might also be interested in a line of credit which would allow him to draw on the loan as needed and repay it any time he has extra cash. The commitment that is required for a line of credit is that you must pay the accrued interest each month as the minimum monthly payment. He and his wife are giving this some thought; however, they need to make the decision quickly to enable the money to be available to pay the contractor who arrives next week. More to come on this loan application. If you live in the State of Connecticut and you're trying to get approved for a debt consolidation loan, we hope our website helps you find a good lender and a low interest rate.